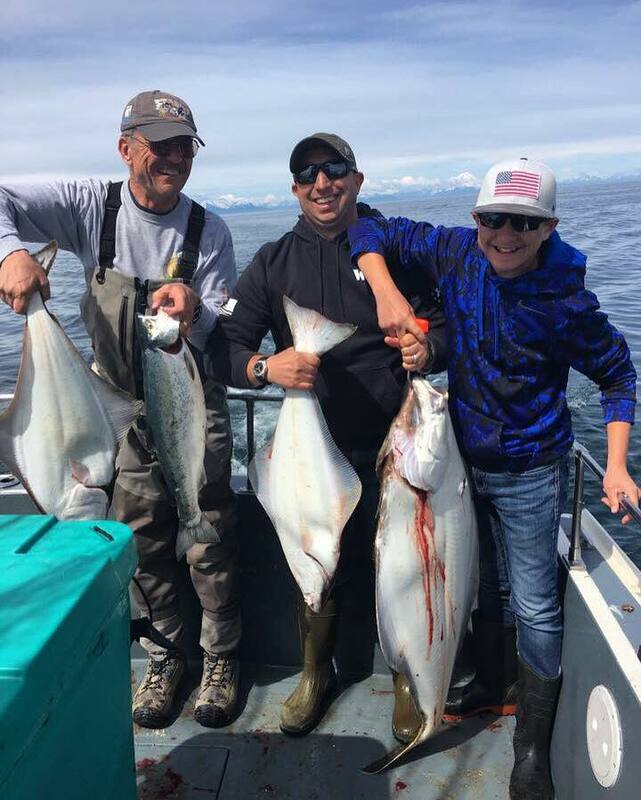 What better place to fish for Halibut than here in Homer, Alaska: The Halibut Fishing Capitol of The World! Captain Ethan and his crew sure know how to find you an arm work out at his favorite spots. Don't bum yourself out thinking you'll find a monster, so many anglers ruin their own days of fishing by thinking that way! 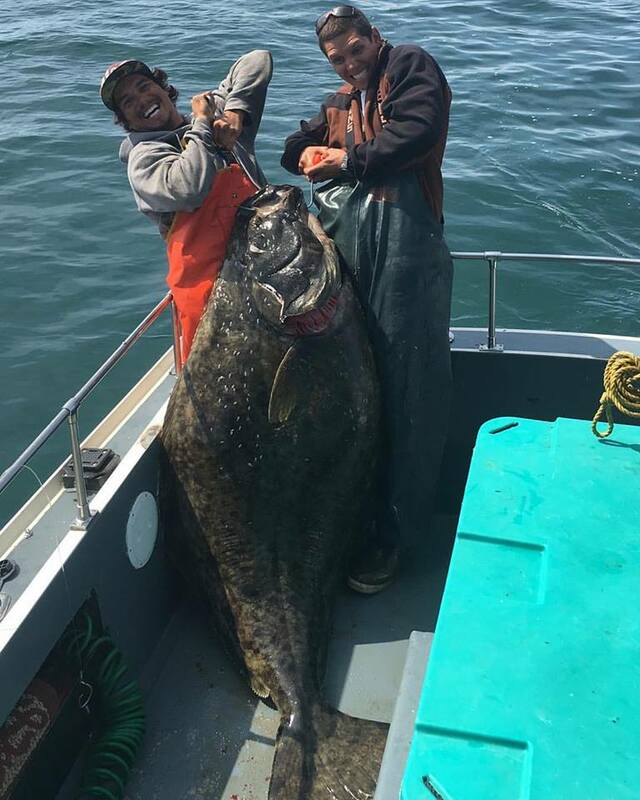 Remember No Fishing for Halibut on Wednesdays! For more info click here. What better way to get fish in your freezer than by going on a Combo trip! Depending on the weather, we usually like to venture far out where youʻll get to experience true personal Alaskan fishing. We'll be going after Halibut + Salmon or Halibut + Rockfish, the choice is yours. Ship a medley of fish home, you canʻt ever go wrong with a multi-species sampler. Remember No Fishing for Halibut on Wednesdays!. For more info click here. Silvers, Pinks, and Kings! If we could get you on the river weʻd add Reds too. Fishing for Alaskan Wild Salmon will never disappoint you. 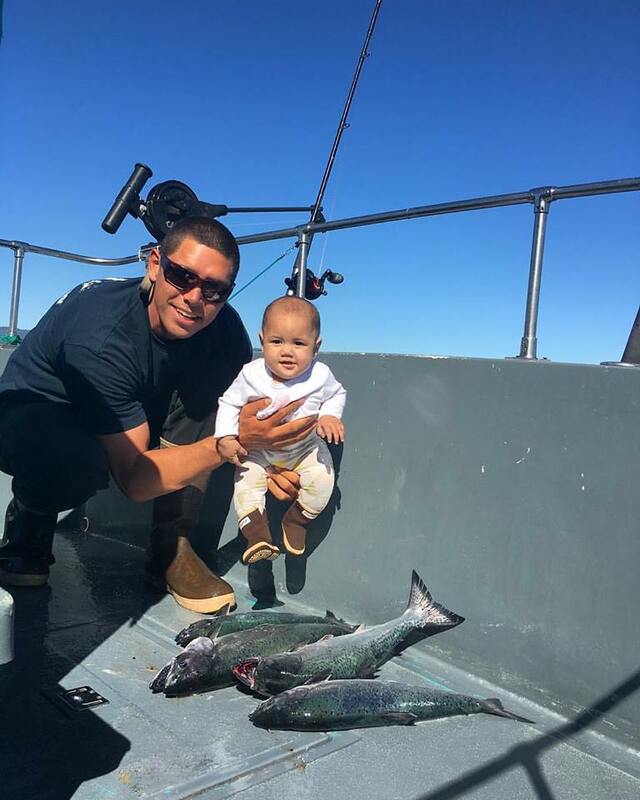 Although weʻre slow trolling for these fish, they sure know how to speed up the action with a fast + fun fight. Get the bbq ready and grill your fresh filet straight off the boat! It does not get any better than that. For more info click here. Cancellation Policy: A Full refund will be given (less any processing fees) if cancelled 30 days or more prior to your scheduled charter. Your payment will be non-refundable if cancelled less than 30 days prior to your charter date. There is a 3% processing fee add to all credit card transactions. If you cancel less than the 30 days out and we are able to re-book the seats, your money will be fully refunded (again, less any processing fees). Mahalo!